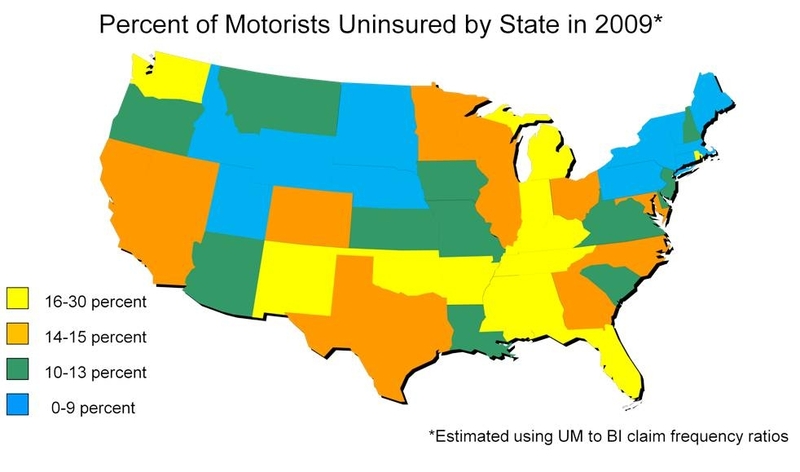 Across the United States, chances are roughly one in seven that a driver is uninsured, according to new estimates from the Insurance Research Council (IRC). The estimated percentage of uninsured motorists declined four straight years before rising to 14.3 percent in 2008 and dropping to 13.8 percent in 2009. The economic downturn is thought to be a major factor in the brief increase.